Ryo’s Noodles is a kind of secret but already well known Ramen restaurant in Sydney. When I and my friends are talking about “Ryo’s Noodles” , All are saying “I would like to go again soon!!” . Even my mum, lives in Japan says same. When she comes Sydney from Japan, she asks me to take her Ryo’s Noodles every time. Because she loves the taste. The restaurant is so popular. Many people are queuing to get in. The exterior and interior of restaurant is very casual. 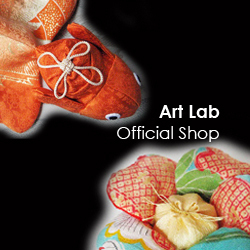 It’s not commercialised. I believed this is the concept. The style is same as Japanese traditional Ramen restaurant. However, The restaurant is introduced as the best restaurant by an Australian Master chef at Sydney Morning Herald. End of last year Ryo’s Noodles in Bondi Junction was opened. 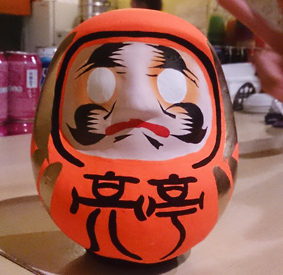 An owner of the restaurant, Mr. Ryo-san kindly order the custom order Shirakawa Daruma from Fukushima. 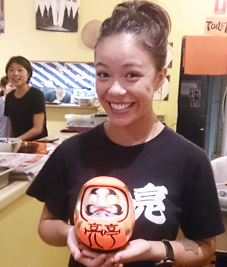 The Daruma are decorating at both restaurants, Crowsnest and Bondi Junction. 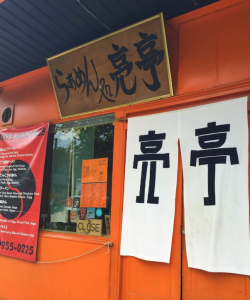 Please visit them and enjoy tasting Ramen and seeing their original Shirakawa drama! !